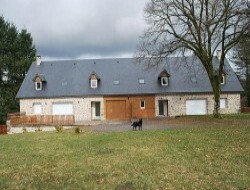 Situated in the countryside, former barn divided into two gites of 150m² each for 10 persons. Terrace, park with games for children. Possibility of renting both holiday cottages together or separately. Free wood for fireplaces. A gite just for you, in the heart of the cradle of the tapestry and the doors of the Millevaches plateau, comfortably equipped, full of charm combining contemporary with the softness of the old. House 80 m² on 2 floors with enclosed courtyard, garden furniture, barbecue, open courtyard overlooking the valley and the small town of Felletin. Hiking, horseback riding, mountain biking, bathing at Lake Vassivière, mushroom picking and 10 km visit the International Museum of Tapestry or simply rest, quiet and greenery. Attractive holiday cottage for 4 persons, furnished and decorated tastefully and full comfort. Two double bedrooms, living room of 18 m². Intimate garden. No smoking. 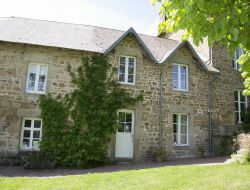 Need for restful holidays in a bucolic environment in the Limousin ? 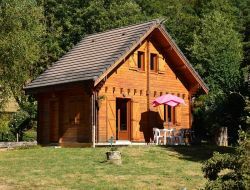 This comfortable chalet for 4-6 people put on a large ground in front of the lake of Camps is made for you. Free activities: bathing (watched in July / August), games for children, stake park, tennis, hikes; with participation: pedal boat, visits of farm, riding, fishing... Restaurant, grocer's shop. 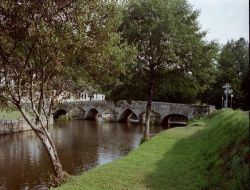 Numerous sites to be visited: Turenne, Beaulieu, Collonges la Rouge, Rocamadour.. Accepted Animals. 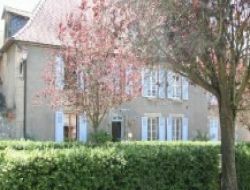 Renting an apartment, bright and modern, located on the ground floor of an old rectory in the heart of the beautiful city of Felletin in the surprising department of the Creuse. Rent includes a bedroom, a living room (with sofa bed) and a kitchen. 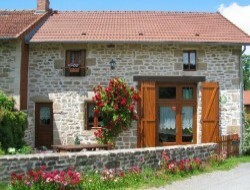 Charming rural cottage in a small village of character in the Creuse, in the Parc Naturel Régional Millevaches in a green and unspoilt nature. 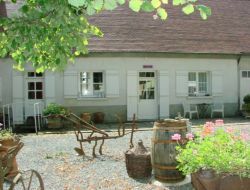 Gite "3 épis" with Gîtes de France, all comfort, 6 persons, ideal for hiking, biking, fishing, visiting historic sites and natural. 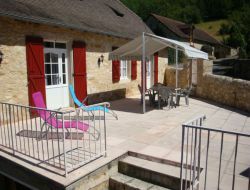 Spend your holidays in the Limousin (Creuse) with the rent of this holiday cottage for 2-3 people in the very contemporary design situated in a former sheepfold. 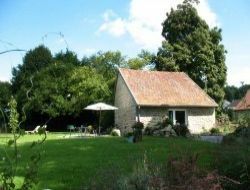 We offer a comfortable family-gite all comfort with the charm of old stones, capacity of five people, in a natural environment, quiet and friendly. We offer a large outdoor area with furniture and BBQ. Our pets are not allowed.